The Okuma Trio High Speed Spinning Reel is a hybrid designed and made with lot of innovation. 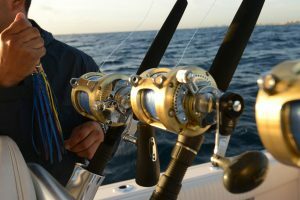 It has graphite side plates to provide strength to the reel at the same time keeping it light in weight. The reel has attracted many buyers because of its light weight and stunning look. It comes in a black and orange combination. The instrument has three models to offer to buyers: the Trio 30s, Trio 40s, and Trio 55s. This is the main feature of the Okuma Trio spinning reel. 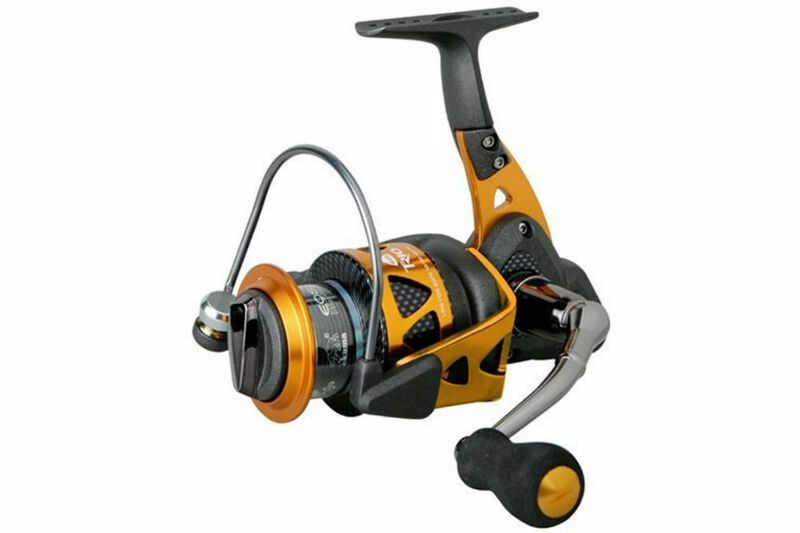 The reel has a cross-over body and spool design. In the cross-over body design, Okuma has kept the stamped aluminum stem and added two graphite side plates. In other spinning reels, there is single side plate present. The thought behind this is aluminum is stronger and will hold the weight when needed. At the same time, other materials used will keep the instrument’s weight as low as possible. Similarly, too two materials are used for the drag system, which is housed in an aluminum shell. 10 stainless steel ball bearings + 1 RB. Another feature of the Trio High Speed Spinning reel is the dual force drag. The system has multi-disc Japanese-oiled drag washer that is placed on the top of a spool, and a carbon fiber drag washer that is placed at the bottom of the spool. The rotor of Okuma Trio is again made of hybrid material. The objective behind this is the same—to provide the maximum output from the instrument, but keep it as lightweight as possible. The rotor is made of stamped aluminum. Another benefit of this composition is it helps keep the flexing down, which is good when the user is fishing for large fish or using braided line. Like many other spinning reels available these days on market, the Trio High Speed Spinning reel comes with an anti-reverse bearing. 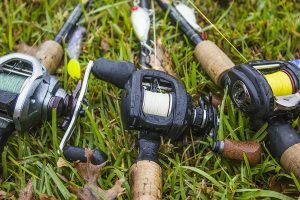 Many users of this reel feel the anti-reverse system is more smooth and effective than other spinning reels. 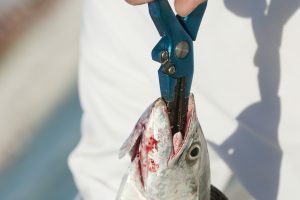 Users have complained about the poor quality components which go into the construction of the reel, claiming that this is the way that Okuma is able to keep costs to a minimum. Others have said that the reel didn’t last long before problems arose, which rendered the reel unusable. 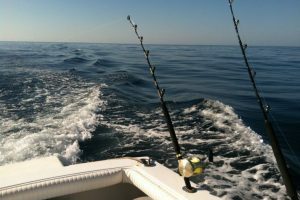 More reviewers claim that after a few uses, the reel starts making a cracking noise, after which it becomes impossible to reel in. The product is relatively inexpensive and comes with a trove of features. The innovative use of materials makes it a player. 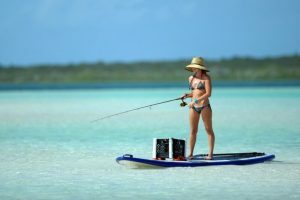 If we compare the Okuma Trio High Speed Spinning Reel with its competitors, the KastKing Sharky II Spinning Reel and the Tactpro Saltwater Fishing Pro, it would not be wrong to say the competitors have little more to offer than the Okuma Trio. 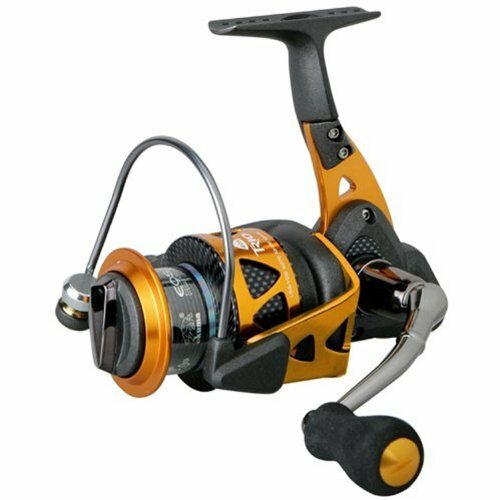 The KastKing Sharky II Spinning Reel is available in six sizes and is made of corrosion-free and durable material. Except for the dual force drag, all other features in the KastKing Sharky II are the same as the Okuma Trio. 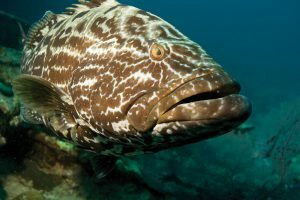 But, Okuma buyers can save money when they buy one. 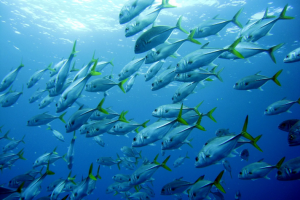 The Tactpro Saltwater Fishing Reel is a professional fishing, spinning reel as claimed by the company. Available in almost the same range, this instrument is also packed with power. The entire body is made of aluminum giving it strength to withstand tough conditions. However, because of the aluminum material used all over, the instrument is slightly higher in weight. Moreover, the reel costs less than the Okuma Trio High Speed Spinning Reel. 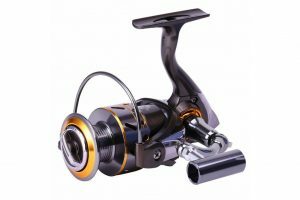 We cannot say it is the perfect spinning reel available on market within this price range, but, yes people who buy it will not be disappointed with its performance. 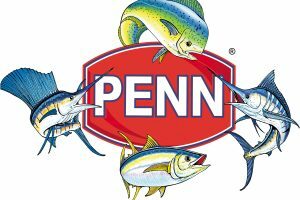 It is a product that will provide value for your dollar.